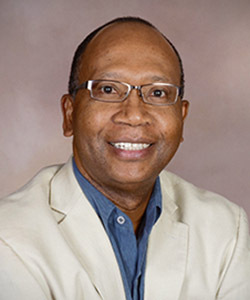 Oliver W. Edwards, Ph.D., NCSP, is a professor of School Psychology with the University of Central Florida. He is currently serving as Interim Chair of the Department of Counselor Education and School Psychology. Dr. Edwards holds an undergraduate degree in psychology and an Ed.D. in Educational Administration from Florida International University. In addition, he earned his Ph.D. in School Psychology at the University of Florida. During his doctoral education, he was a McKnight Doctoral Fellow. Dr. Edwards practiced as a School Psychologist with the School Board of Broward County, Florida for several years. He later became an administrator with the district, supervising roughly 65 School Psychologists and School Social Workers in their work with 65 schools and some 75,000 students. Dr. Edwards is editor-in-chief of the scholarly practice journal, School Psychology Forum: Research in Practice (SPF). SPF is a publication of the National Association of School Psychologists (NASP) and the journal is distributed to approximately 25,000 readers four times each year. NASP is the major professional organization for school psychologists in North America.